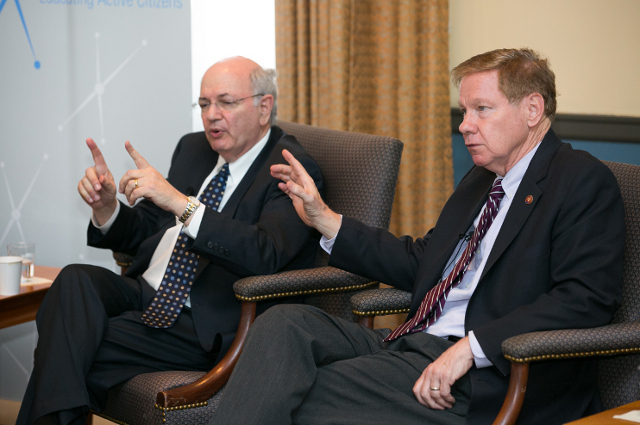 Two former congressmen spoke about what ails Washington as part of the Tisch College Distinguished Speaker series. At the annual Murrow Forum, co-sponsored by Tisch College, ABC anchor George Stephanopoulos laments the growth of partisan media and urges more critical consumption of news. Former U.S. 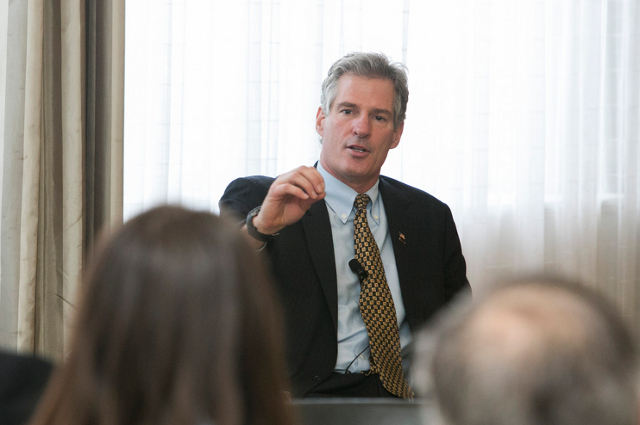 Senator Scott Brown, A81, spoke as a Tisch College Distinguished Speaker about the power of political involvement. As part of the Tisch College Distinguished Speaker Series, Admiral James Stavridis shared his thoughts on leadership and on current crises around the world. At a Tisch College Distinguished Speaker Series event, Boston Mayor Marty Walsh says he hopes to attract a growing and diverse middle class to the city. 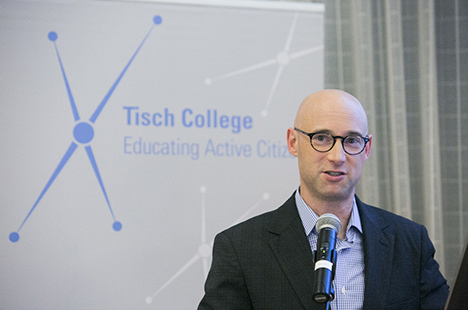 Political journalist Matt Bai, a member of the Tisch College Board of Advisors, spoke at Tufts about the scandal-obsessed nature of the modern political media. On October 28, the former Secretary of Health and Human Services visited Tufts as part of the Tisch College Distinguished Speaker Series. 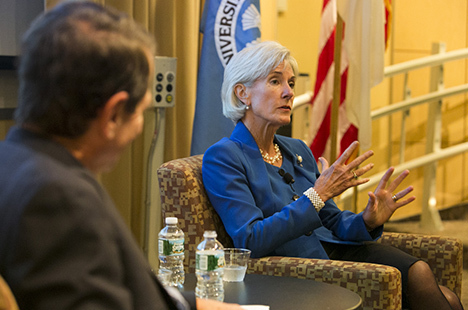 Hosted on campus by Tisch College, former secretary of health and human services Kathleen Sebelius talks about the Affordable Care Act, the political life and Ebola. 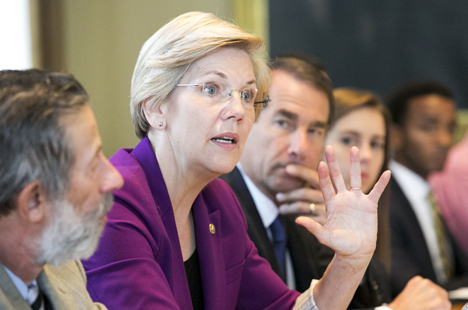 Senator Warren spoke about her personal and political journey, and encouraged students to get involved in public life. 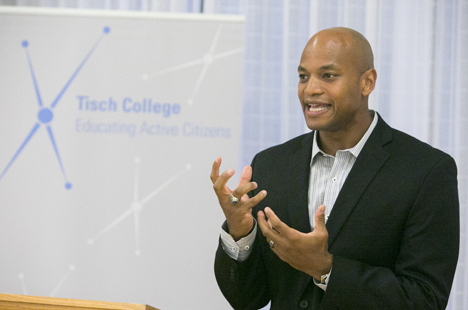 The Other Wes Moore: One Name, Two Fates, was the undergraduate common book for the Tufts class of 2018. On September 8, Moore shared his message with the Tufts community.